Well it was no surprise to me that this year Melbourne once again topped the list of the most liveable cities in the world as ranked by the Economist Intelligence Unit. 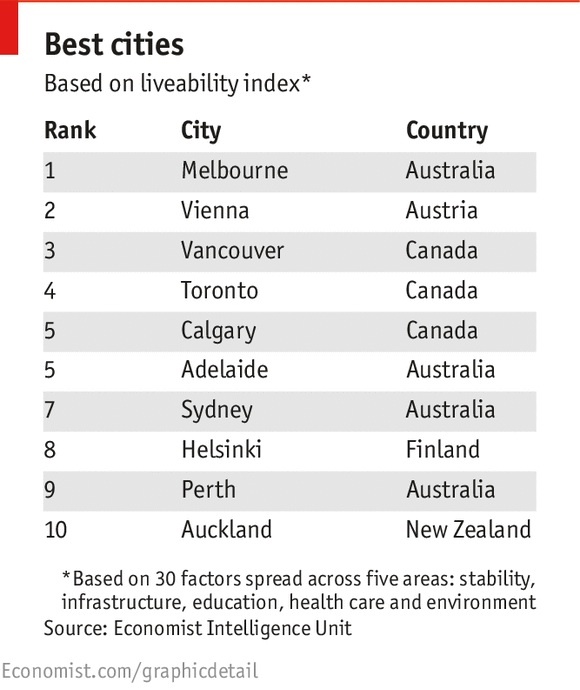 And just to boost our egos a little further, this annual “liveability index” ranks four Australian cities in the top ten most comfortable places in world. 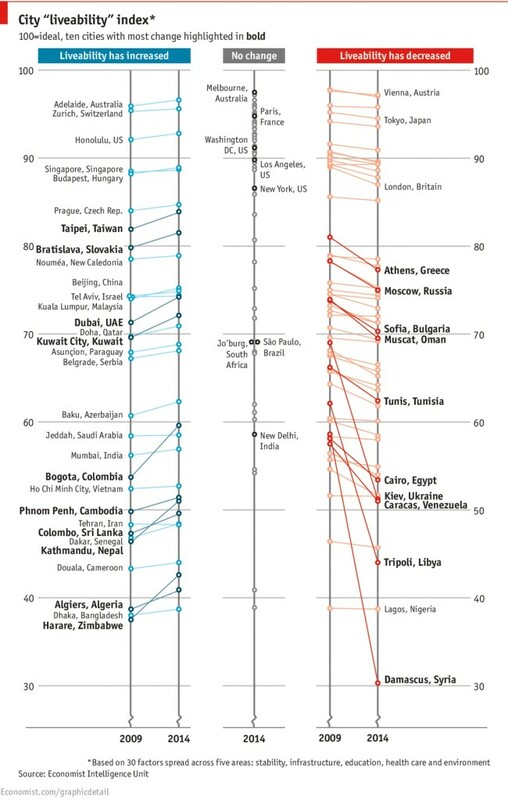 Over the past five years urban life has deteriorated somewhat: liveability has declined in 51 places and improved in 31 places. During that time, the index average has dropped 0.7 percentage points (skewed by cities in conflict areas where survival, rather than living well, is the priority). Interestingly, the top cities have not changed much over time.